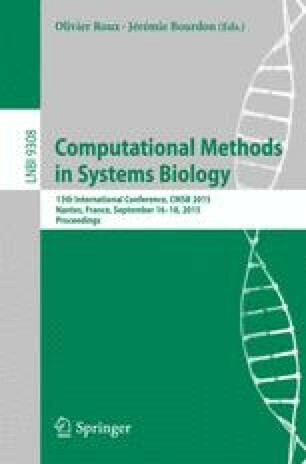 We propose a new distributed-memory parallel algorithm for parameter synthesis from CTL hypotheses. The algorithm colours the state space transitions by different parameterisations and extends CTL model checking to identify the maximal set of parameters that guarantee the satisfaction of the given CTL property. We experimentally confirm good scalability of our approach and demonstrate its applicability in the case study of a genetic switch controlling decisions in the cell cycle. This work has been partially supported by the Czech Science Foundation grant GA15-110895S and the Czech Ministry of Education, Youth, and Sport project No. CZ.1.07/2.3.00/30.0009 (Milan Češka).